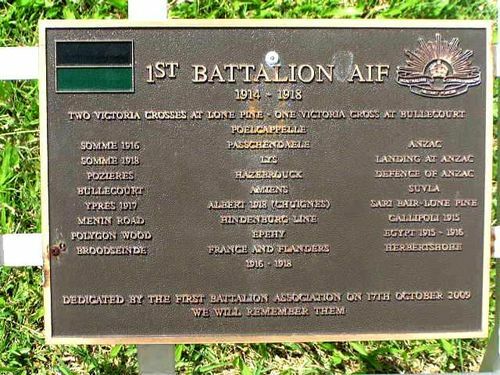 The 1st Battalion was the first infantry unit recruited for the AIF in New South Wales during the First World War. Its most notable engagement at Gallipoli was the battle of Lone Pine in August. Two members of the battalion, Captain A. J. Shout and Lieutenant L.M. Keysor were awarded Victoria Crosses for their valour at Lone Pine, Captain Shout posthumously.